New Haven, Mo. – The lady rocks will begin their season on Wednesday at Valley Park with a much younger team than last year after losing eight seniors. 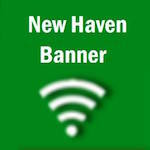 New Haven will return their starting pitcher, Stephanie Scheer, and centerfielder Kierstin Monzyk, who led the team in batting (.500) and runs scored (29). Blair Bowers will move to catcher after starting at second base last year. Coach Tim Scheer said, "We are a very young team with little game experience. Until we get on the field it is hard to gage how we will do." The lady rocks will return to play their first home game on Saturday at 9 a.m. in New Haven's Softball Classic. Click here to download the bracket. Note: Thursday's game was rescheduled for Mon., Aug. 27. Remember to visit the Sports Zone for schedules and game scores.